Phaseback DC Choke reduces AC noise in a DC circuit at all frequencies, and all harmonics. It reduces AC noise at a rate exceeding 4 times that of a similarly sized traditional choke or inductor. Additionally, the Phaseback DC Choke provides benefits not available in other chokes. Because of its unique design, the Phaseback DC Choke is not constrained by the limitations of typical chokes. The Phaseback DC Choke takes advantage of a property called mutual counter-electromagnetic inductance. In other words, it combines the properties of series and parallel opposing magnetic forces. Unlike typical DC chokes, Phaseback DC Choke’s method of filtration does not rely solely on eddy currents and hysteresis losses for current control. Instead of dispersing electrical noise in the form of heat, Phaseback DC Choke simply dissipates the noise by beating it against itself, resulting in an electromagnetic suppression of AC noise. The Phaseback DC Choke has been tested and proven to remove every harmonic frequency above DC through 296,829 Hz, while conventional chokes must be tuned to two or three specific frequencies. Shown below: a traditional choke, limited effective range (left). 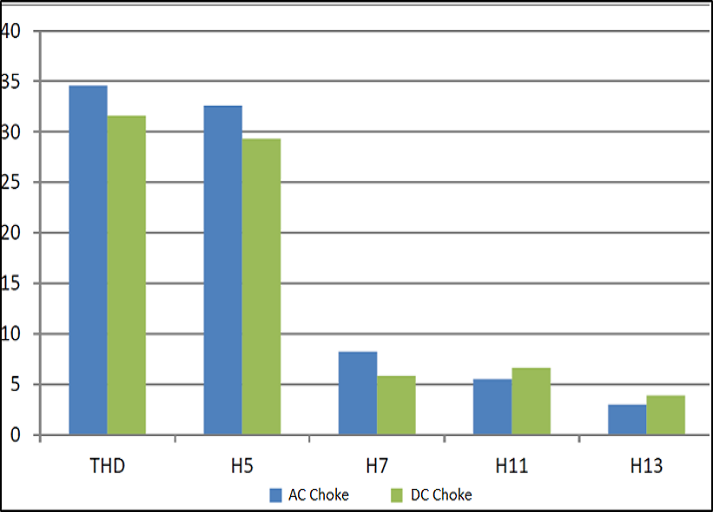 Compare against the Phaseback DC Choke, a true full-spectrum choke (right). Due to its revolutionary design, the Phaseback DC Choke immediately enables the advancement of existing technologies, and opens the door for an entirely new dimension of DC power devices. 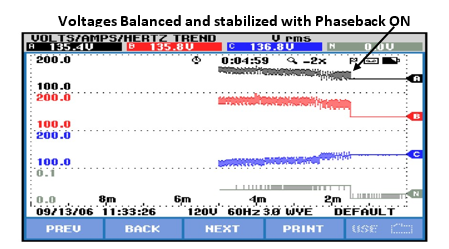 Phaseback VSGR balances and stabilizes phase voltages with respect to ground. The result is the most reliable power environment possible for drive and control system operation. This voltage stabilization also maintains a ground reference in the event of a power failure or scheduled shutdown. Phaseback discharges the stored energy from the power distribution, reducing the danger of arc flash. This discharge works like the dynamic braking resistor on a crane. Power systems with Phaseback are protected from the high voltage buildup that is otherwise allowed by traditional TVSS units. Finally, the VSGR causes motors to run cooler, extending their projected lifespan by as much as double. 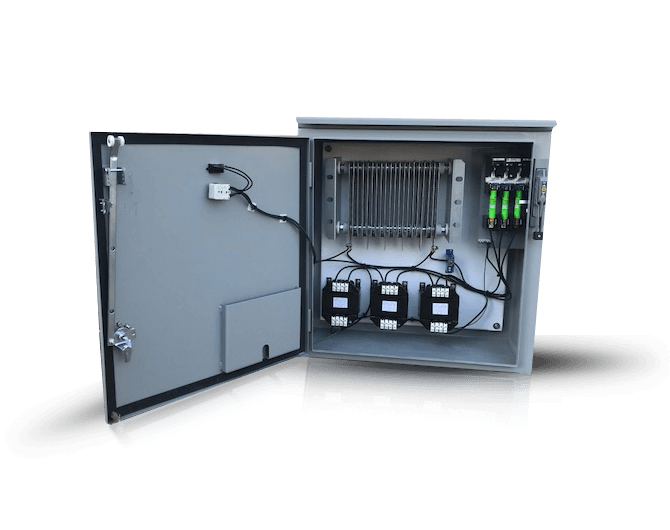 Transient voltages and arcing ground faults cause high frequency noise, insulation breakdown, control lockups, and premature equipment failure. According to the IEEE, about 85% of arcing ground faults lead to solid grounds, which can cause an arc flash hazard. When looking to mitigate an arc flash hazard, the goal is to achieve fault clearing within 10 cycles. Fault currents, even modest ones of 5-10kA, can yield catastrophic results: an arc flash on live equipment can lead to the rupture of oil-filled gear, or explosion of faulty switchgear. Major equipment damage, injury or death to personnel can occur well before a circuit breaker can clear the fault. Personal Protective Equipment protects only against heat and small particles, but not the explosion’s physical force. Phaseback also includes a current detector designed to assist with identifying the source of faults, as well as notifying personnel when the first fault occurs. The Phaseback VSGR prevents arcing ground faults, reducing the potential for arc flash by over 85%. Phase voltage harmonics cause eddy currents, which cause heat in motors, transformers, and all other inductive devices. With Phaseback, all of these are reduced. 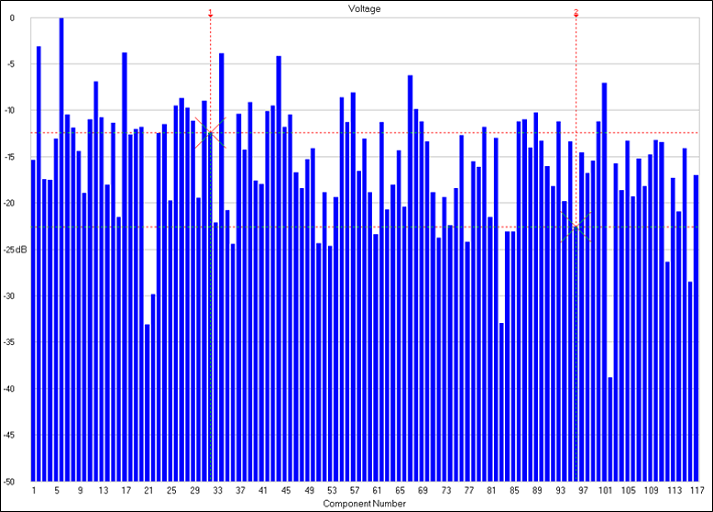 Phase voltages are stabilized and brought into balance, and as a result, phase voltage harmonics at all frequencies, including zero, even, odd and inter-harmonics are reduced by 85%, enabling reliable operation of all equipment connected to the power system. Another symptom of eddy currents is a restriction of current flow through the motors, meaning that all motors running DOL (direct on line) run with reduced energy efficiency. With Phaseback, harmonics are reduced, the motors run cooler, use less energy (watts or true power), the volt-amp draw is lowered (apparent power), the VAR power is reduced (imaginary power), and the power factor is increased. The energy savings from implementing Phaseback will typically cause a payback in one year or less. Due to harmonics and transient voltage spikes from the drive, the motor power cable can not typically exceed 100 feet. With the Phaseback DVS, this requirement is no longer an issue. Motor power systems have been confirmed to operate reliably to 1000 feet with the DVS connected. Electric motors with a 4% voltage imbalance run 25% hotter. Every additional 7 ½ degrees celsius a motor runs in excess of its rating cuts the motor life in half. With the DVS, electric motor life is increased by more than double. The Harmonic Silencer (HS) is a parallel connected power filter that does not require equipment to stop for installation and it will reduce harmonics from a drive, a group of drives. The HS will also reduce the harmonics from fluorescent lighting computers and harmonics from other facilities that may affect the operation of your equipment.